There's no better way to spend Friday evening, than sipping great wine paired with delicious food, in the company of your favorite person. Head Chef Adam Mead from Locale Restaurant at the renowned De Bortoli Winery is in town for a 3-day stint at GRAZE in Hilton Kuala Lumpur. 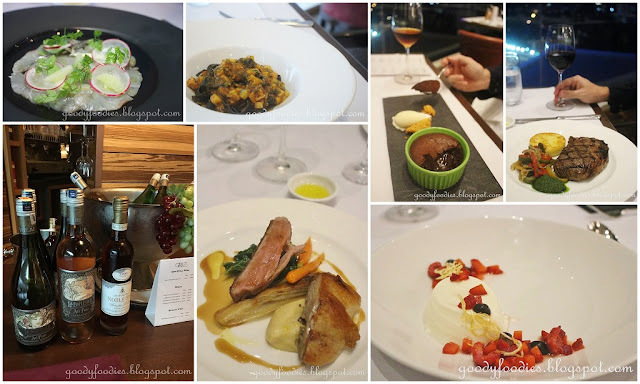 Last night, we had a most enjoyable evening, wining and dining to Chef Mead's signature dishes paired with the best wine selections from De Bortoli Winery in Yarra Valley Australia. 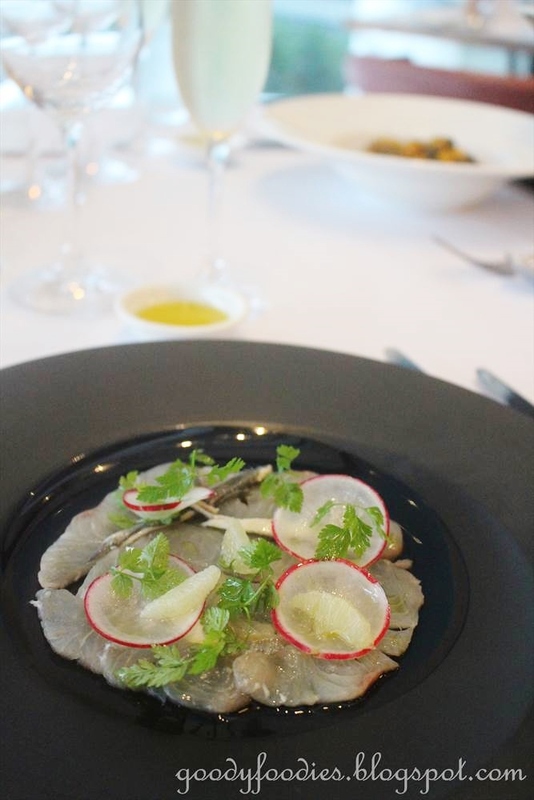 Hailing from Queensland, Chef Mead specialises in classic Italian cuisine. 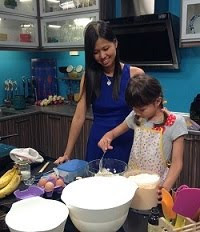 He will be showcasing some of his signature dishes in Kuala Lumpur this weekend; diners will be presented with quality produce cooked skillfully whilst maintaining the natural flavours. We were greeted by the front of house, ushered to our table and promptly offered some of De Bortoli's finest bubbles, the Rococo Premium Cuvee N/V, to whet our appetite for a great evening ahead. We selected six different dishes from the a la carte menu to make up our 3-course dinner each, in order to sample as many of the guest chef's creations as possible. 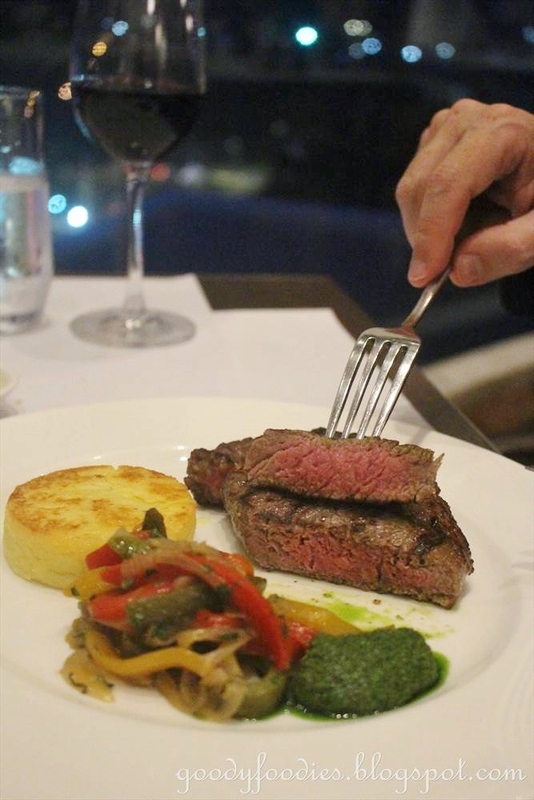 The 3-course dinner with wine pairing is priced at RM250. To start, we had the Kingfish carpaccio (RM96) and Squid Ink Fettucine (RM128). 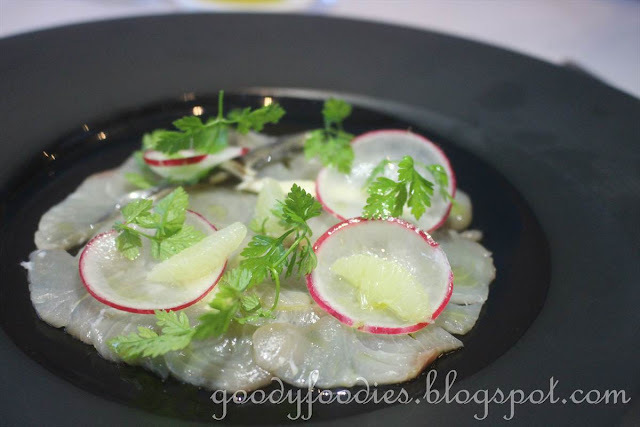 Kingfish is cured with Pinot Gris and served with radish, white anchovy and lime - zesty yet delicate, it was definitely appetizing and made me look forward to the next course. Hubby's fettucine was more robust in flavour, featuring crab, swordfish, zucchini, chilli, garlic and bottarga. 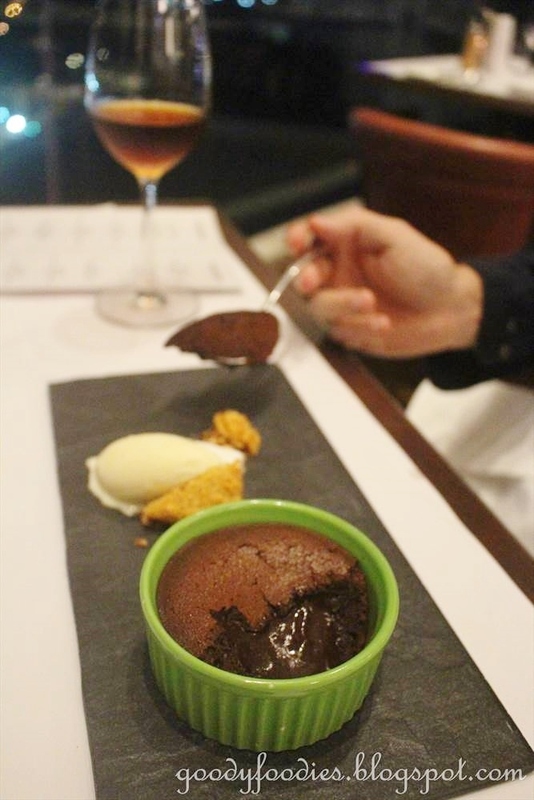 So good, we wiped up the sauce with the equally excellent in-house bread. 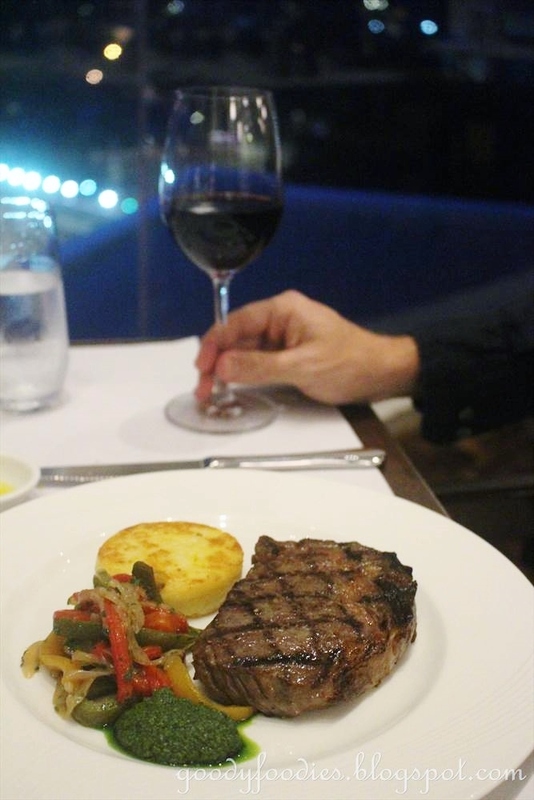 The Grass-fed Scotch fillet (RM185) was grilled to perfection, medium rare inside with the smoky char-grilled exterior that Hubby craves. The bold La Boheme Act 4 Gamay Syrah '15 was a perfect accompaniment for the hunky steak. The semolina gnocchi and pepperonata added interesting textures and flavours to the dish; my carnivorous partner-in-crime wholeheartedly approves of his choice of main. My choice of main proved to be exceptional too. Duck (RM145), prepared in two ways is the star of the dish. 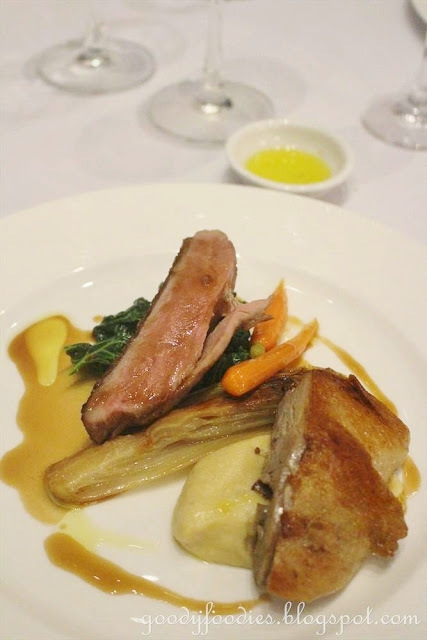 You get confit of duck leg as well as roasted duck breast on one plate, both executed perfectly and complemented well by the cauliflower puree, baby carrots, wiltlof and jus. 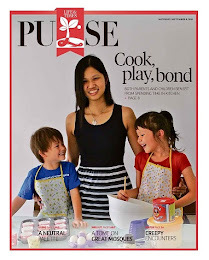 It was simply a joy to savour. I chose to have the La Boheme Act 1 Riesling '15 which was fruity and easy to drink. 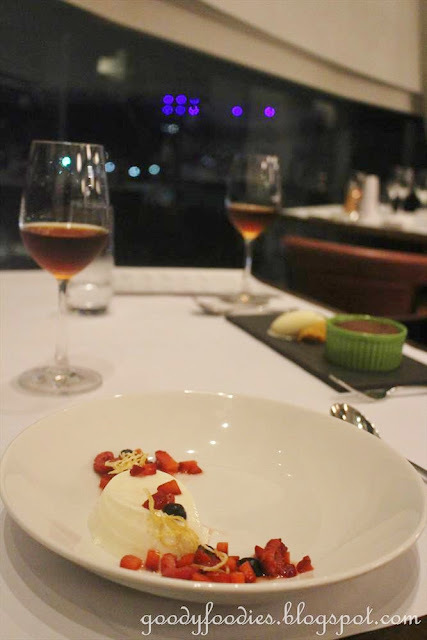 The multiple award-winning Noble One Semillon Botrytis '10 was served with our dessert course. 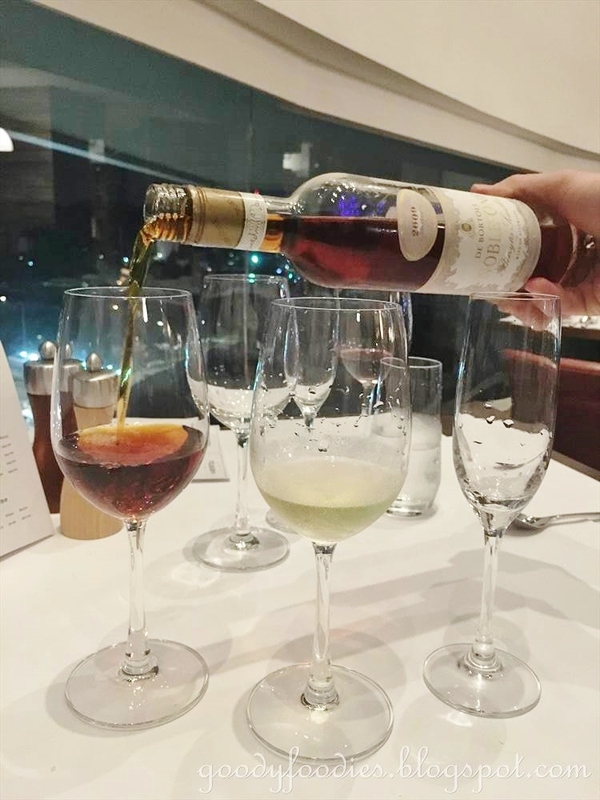 This sweet dessert wine was rich and syrupy, with lovely caramel notes. 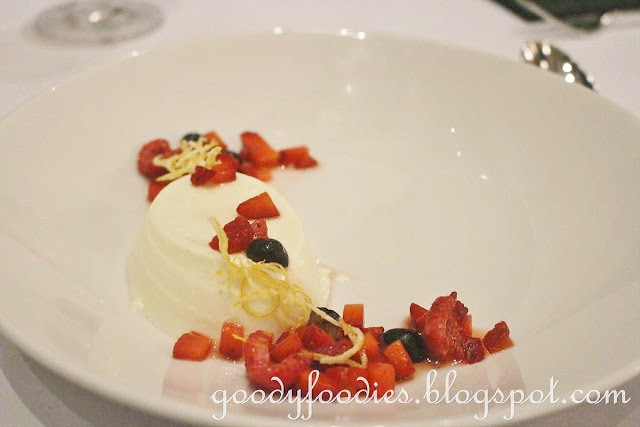 I opted for the lighter Panna Cotta with fresh berries (RM38) while Hubby went for the richer Hazelnut chocolate fondant (RM38), with nougat, vanilla gelato and hazelnut praline. 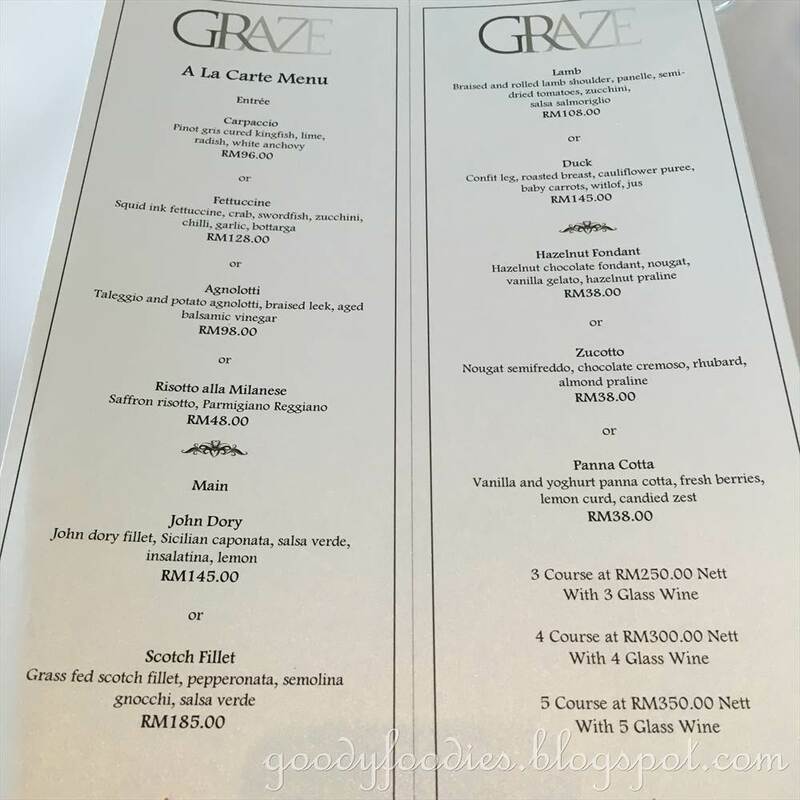 We had a really fantastic meal here at Graze, with superb dishes and wine. 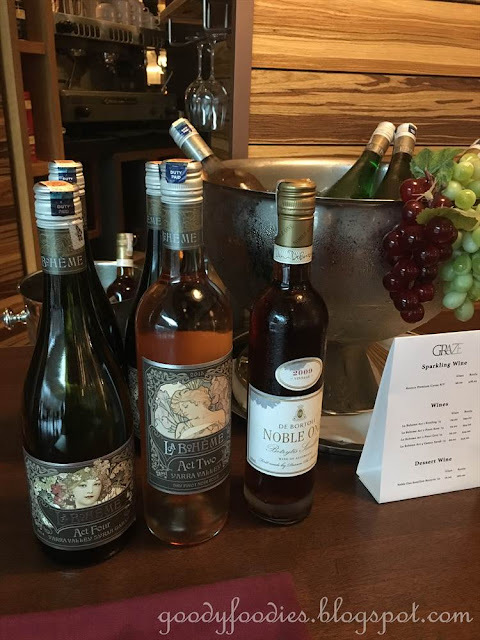 Special mention must be given to the stellar service staff, who were professional, attentive without being obtrusive and were knowledgeable about the wine and food. 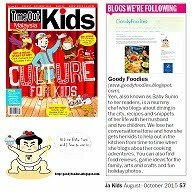 Thanks Hilton Kuala Lumpur for having us! Chef Adam Mead will be serving his Dinner Menu tonight. Choose a la carte or go for the 3-course with 3 glasses of wine (RM250 nett), 4-course with 4 glasses of wine (RM300 nett) or 5-course with 5 glasses of wine (RM350 nett). Opening times: Lunch (Mon-Fri) : 12.00noon to 2.30pm; Brunch (Sat & Sun): 9am to 3.30pm; Dinner : 6.30pm to 10.30pm daily. 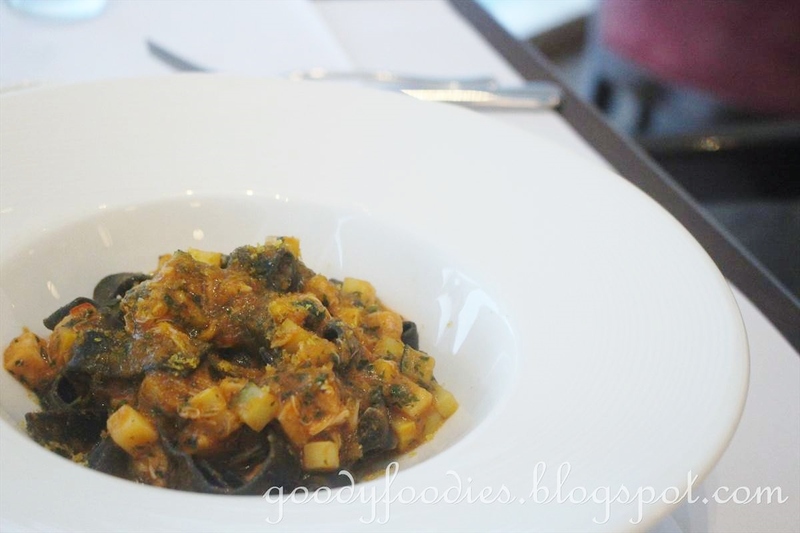 Location: Graze, Hilton Kuala Lumpur, 3, Jalan Stesen Sentral, Kuala Lumpur Sentral, 50470 Kuala Lumpur.